Before we start our brief description of Salzburg sights, it is worth mentioning that this city has been completely rebuilt by order of Archbishop Wolf Dietrich, who was by his nature a braggart and a fan of luxury. Therefore, he built many monasteries, parks, churches, and Salzburg Cathedral. Not only the archbishop himself, but also his followers were very, very rich. 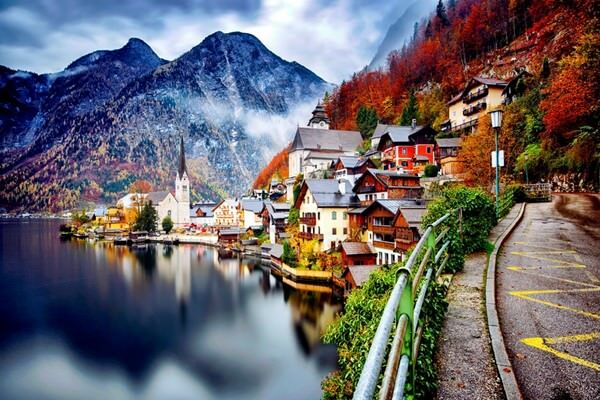 They ended up acquiring all the salt mines of the Salzburg land. They also were the owners of numerous large farms. However, Wolf Dietrich was, without a doubt, the richest. When the number of children of the archbishop reached 12, he ordered to build the Mirabell Palace for them. After this the Pope decided that this was too much. Wolf Dietrich spent his last years in prison in the Hohensalzburg Fortress. Without several generations of rich archbishops Salzburg would have never looked the way it looks now. The Cathedral was constructed by order of the aforementioned Archbishop Wolf Dietrich, who had ordered to build this monumental structure on the site of the old cathedral. However, his original plans have not become the reality - during the construction of the cathedral its size was slightly reduced. Despite this fact, today this is still a very large church that can accommodate up to 10,000 people. The grand opening of the cathedral took place in 1628. Today this is one of the most beautiful sights of Salzburg. The decoration of the cathedral can be seen in a separate museum. The Church and Churchyard of St. Peter. If you cross the city bridge and go to the other bank of the river, you will come directly to Getreidegasse Street . This narrow and very beautiful street with numerous shops is the place where the birthplace house of Mozart is located. Walk towards Mönchsberg, and not far from the same named tunnel you will see a beautiful fountain. Many years ago Pferdeschwemme was the bathing place for 120 horses of Archbishop Wolf Dietrich, who had ordered to build new stables on this site (now this place is called the Festspielhaus). Residenzplatz Square - Mozart Square (Mozartplatz) - Kapittel Square (Kapittelplatz). These squares are connected and can, therefore, confuse any tourist wandering there. Kapittel Square is home to a wonderful fountain and Residenzplatz has a fountain located right in its center. Previously, this place was home to a cemetery and a residential area, but by order of Archbishop Wolf Dietrich the area was demolished and released for the beautiful square and the Residence Palace. The palace can be visited with a guide. This beautiful building will give an idea of the luxury in which archbishops lived. There is also a museum in the palace. Mozart Square is decorated with the statue of Mozart right in the center. Here visitors will be certainly attracted by the church of St. Michaels and Café Glockenspiel. The Franziskaner Church and the Collegium Church. Both the churches are located close to each other, and both are definitely worth visiting. The Collegium Church is a university church, so its main altar is mostly decorated with science related motives. This is a beautiful church made in the baroque style in contrast to somewhat formless Franziscaner Church built in the XIII century and rebuilt several times. During some time the Franziscaner Church was the cathedral one, but then the building of the cathedral was finished. The Hohensalzburg Fortress can be reached by funicular that rides along Festungsgasse Street in the old town. One more way to reach it is to walk up on the same street. The fortress was built in the XI century and was designed primarily as a hiding place for the archbishop. Its present form is the result of numerous renovations, which lasted for centuries. The fortress had many functions, and in the end it turned into a small village of with a dozen of houses. Currently, visitors of Hohensalzburg are welcome to make a walk to this place and visit the museum together with a guide. The Nature House is a museum, located near the end of the old town, in Muzeumplatts. 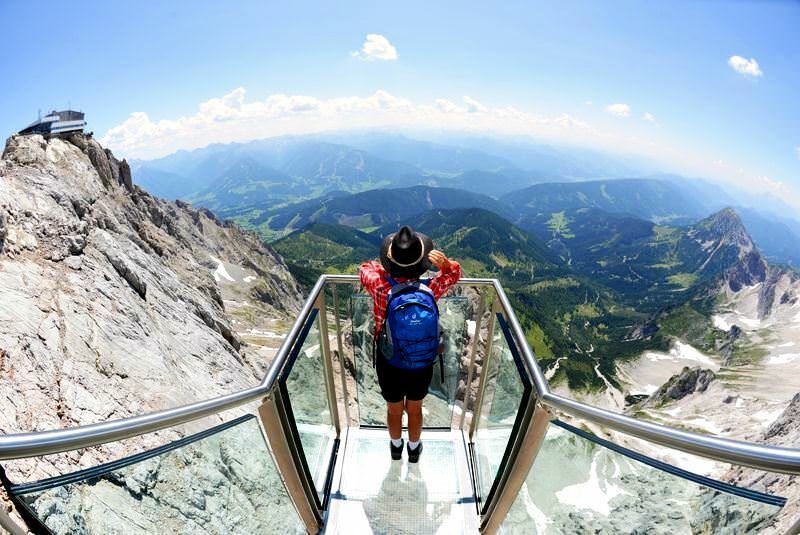 This is a big museum that exhibits a collection of items that tell about the nature of Salzburg and its surroundings in a pleasant and lively manner. The exposition of the museum is very diverse and covers a variety of topics that can attract the attention of both adults and children. 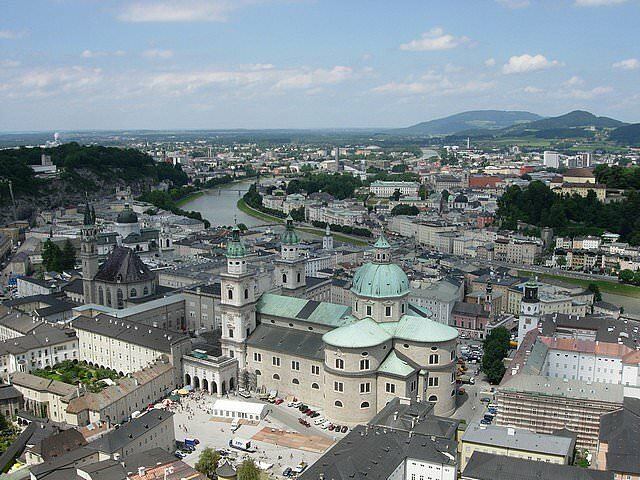 This guide to iconic landmarks and sights of Salzburg is protected by the copyright law. You can re-publish this content with mandatory attribution: direct and active hyperlink to www.orangesmile.com. Check on the map: Distance from Salzburg center - 53.3 km. Check on the map: Distance from Salzburg center - 52.9 km. Check on the map: Distance from Salzburg center - 52.5 km. 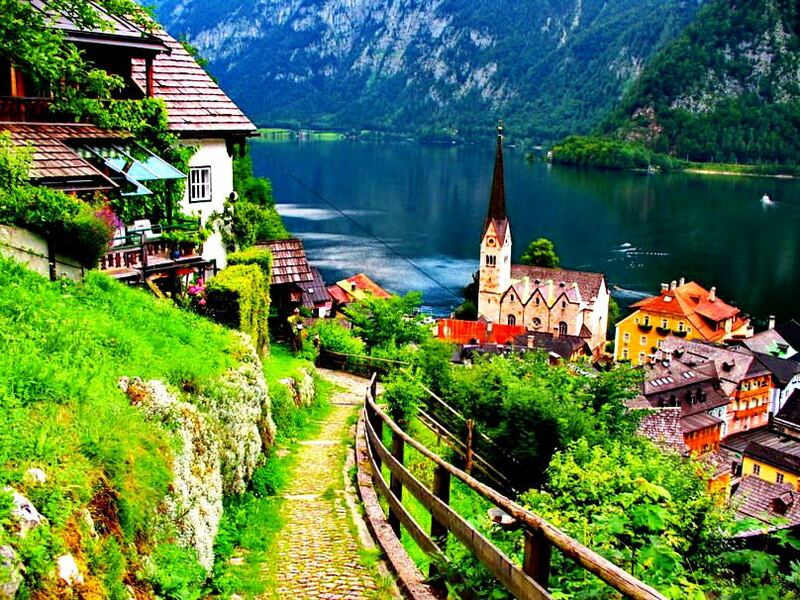 All about Salzburg, Austria - sightseeings, attractions, touristic spots, architecture, history, culture and cuisine. Prepare your trip together with OrangeSmile.com - find out the 'must see' things in Salzburg, which places to visit, which excursions to take, where the breathtaking views are waiting for you. Planning your trip with this travel guide will help your to get the most out of Salzburg in few days.